Fresh Heather : ...Healthy Hot Chocolate? 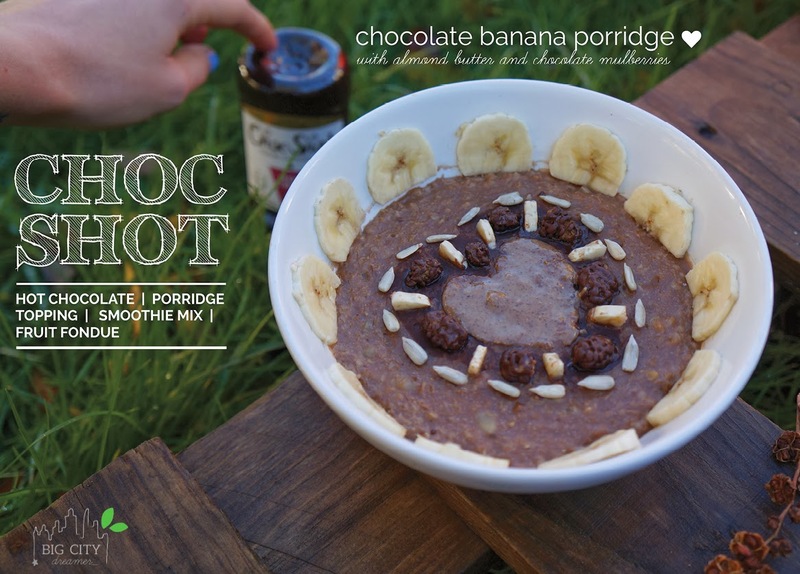 I will begin this post with porridge, because shouldn't everything begin with porridge?! As you should know by now, there is a difference between Healthy and 'Low-Calorie'. I, along with many others, used to think the two were interlinked; if it's low calorie, it must be healthy right?! Wrong! I'm not saying low-calorie things can't be healthy, just that this isn't always the case. Lets look at hot chocolate, for example. If you go into the supermarket, you will find so many brands that now provide a 40 calorie low fat variety. But turn it around and look at the ingredients...whey powder, sugar, gum, glucose syrup, milk powder, oil, sweeteners, salt, emulsifiers, thickener, anti-caking agents, E-numbers...the list goes on! These aren't healthy, natural ingredients! Also, don't you hate the fact that they go all clumpy and never seem to stir in, no matter what way you make them?! Thankfully, there is finally a natural, vegan friendly (! ), gluten free version that contains no artificial colours, flavours or preservatives! I was so excited to try this Sweet Freedom Choc Shot liquid hot chocolate, and let me tell you, I was not disappointed. I will begin my list of recipes with Hot Chocolate, as this ingredient is so versatile that you can use it for a lot more than just that! Simply combine 2-4 tsps boiling water or hot milk. I had mine with water and unsweetened almond milk, although it tastes just as good without any milk in my opinion! Also, liquid hot chocolate = no clumps! Yaay! Now, for the porridge. As well as drizzling this over porridge, why not stir it in to ensure you get the flavour in every bite... simply delicious! I know it is now Autumn and extremely cold (I live in Scotland so I know this better than anyone!) but I still can't resist my daily Nice-cream Smoothie! In a food processor, combine half a chopped frozen banana, quarter a chopped fresh banana, 8-10 ice cubes, half a glass of water, quarter a glass of almond milk and 3/4 tsps or 1 tbsp Sweet Freedom Choc Shot. Blend until smooth. Or eat with a spoon from a bowl topped with whatever your heart desires; Choc Shot drizzle, raisins, nuts, nut butter, seeds, honey ... the possibilities are endless! These little de'lite'ful bites were something I randomly concocted this morning! If you have seen my Clean Vegan Chocolate Mousse Cups, and found that you don't have any cacao powder to mix with the sweet potato (sounds weird, I know), well...here is your solution! 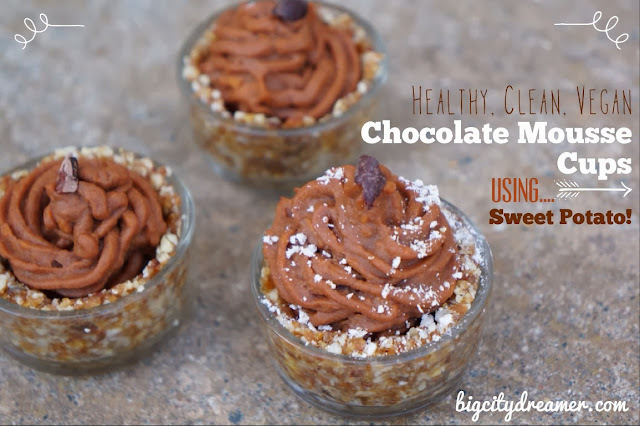 Choc Shots would work perfectly in place of the cacao powder in this recipe! To make the base, place around 10 nuts (cashew/peeled almonds), 3 pitted dried dates, 1 tbsp oats and 1 tbsp raisins in a food processor and pulse to create a crumbly consistency. Press into three small, short (5cm in diameter) dishes or a larger ramekin. To make the mousse, prick the 1 small sweet potato and cook in the microwave for up to 5 minutes, or until soft. Peel the skin and scoop out the flesh before placing in a food processor along with 4tsps Choc Shots. Blend until a smooth paste is formed. Add 1/2 tsp vanilla essence and up to 1tbsp almond milk to thin the mousse slightly. Spoon or pipe into the cups and top with cacao nibs. Have you tried this before? Feel free to link up any recipes you have! Wow, such is very concerning understanding. buy real instagram followers I establish very much of matter which I need. Great job on this capacity. I like it. I establish very much of Vidmate APK India matter which I need. Great job on this capacity. I like it. Great job on this best Computer Speakers 2019. I like it. I establish very much of Cheap Cordless VacuumIndia matter which I need. Great job on this capacity. I like it. I establish very which kissanime is real much of Cheap Cordless VacuumIndia matter which I need. Great job on this capacity. I like it. I establish very watch prison school season 2 much of Cheap Cordless VacuumIndia matter which I need. Great job on this capacity. I like it. I establish very watch much of Cheap Cordless VacuumIndia matter which I need. Great job on this capacity. I like it. I establish very gogoanime home watch prison school season 2 much of Cheap Cordless VacuumIndia matter which I need. Great job on this capacity. I like it. I establish very how to use rabbit watch prison school season 2 much of Cheap Cordless VacuumIndia matter which I need. Great job on this capacity. I like it.